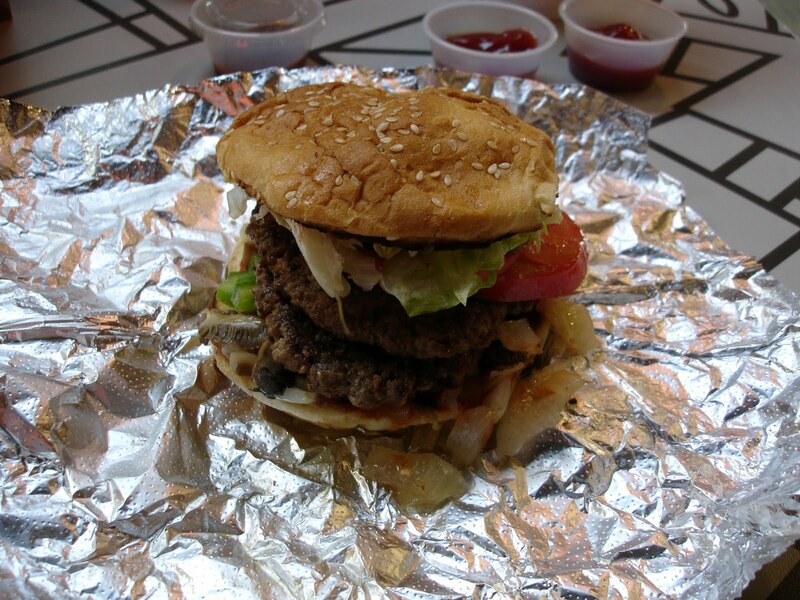 Five Guys is pretty well-known already for its great-tasting burgers, but I thought I’d give it a review anyway. The standard toppings on your burger are mayo, lettuce, tomatoes, grilled onions, grilled mushrooms, ketchup, mustard, and pickles. You can also request onions, relish, jalapeno peppers, green peppers, A-1 sauce, BBQ sauce, and/or hot sauce at no extra charge, which is pretty sweet. The regular burger is a double, and the little burger is a single. I got a hamburger with lettuce, tomato, grilled onions, grilled mushrooms, ketchup, mustard, pickles, green peppers, A-1 sauce, and hot sauce – and it was awesome. They didn’t add so much sauce that the buns were soggy, and the patties were very juicy as well. 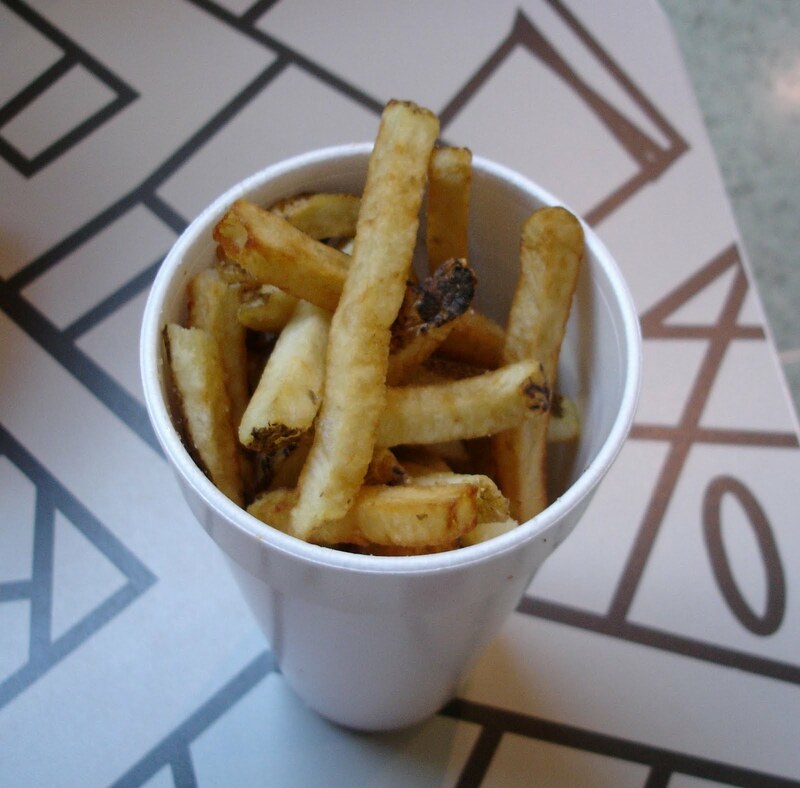 Compared to OnlyBurger, I think Five Guys’ burgers win, only because they have so many different toppings and sauces. However, I still prefer OB’s thin, crispy fries. 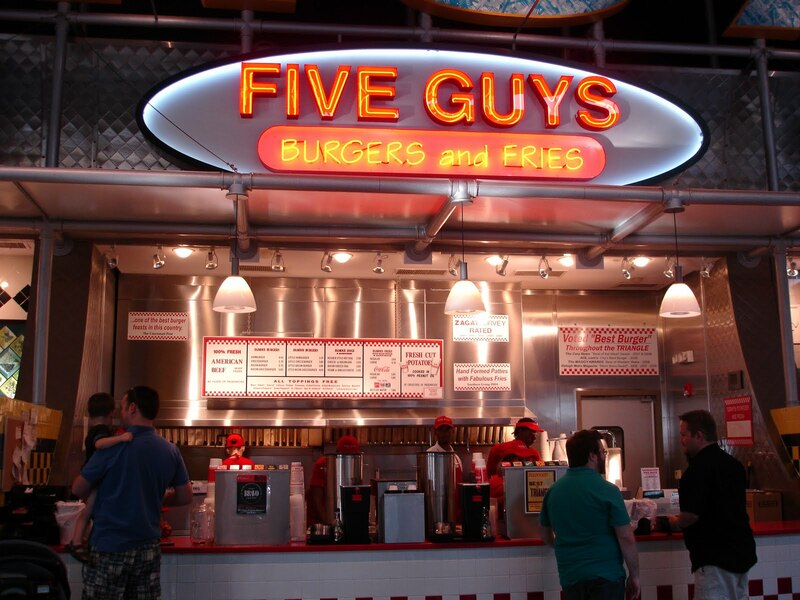 It’s still hard to pick a favorite burger place, but you should not miss out on Five Guys when you’re shopping at Southpoint.